Will Donald Trump's Pentagon reverse Obama's women-in-combat rules? The Obama administration’s historic decision to open military combat jobs to women, a process well underway for nearly a year, could be reviewed or even reversed as President-elect Donald Trump and his Republican Party take control of Washington in January. Trump has been a vocal skeptic of the new policy, calling the change "politically correct" and linking it to a rise in reported sexual assaults throughout the ranks. The Republican Party's official platform, drawn up this summer, expressly calls for reversal. And top lawmakers who will control Congress for at least the next two years have voiced clear opposition as well. The policy affects nearly 300,000 military jobs involved in direct ground combat. "Those policies have to be rolled back," said Elaine Donnelly, president of the Center for Military Readiness, an advocacy group opposed to the slate of Obama-era military personnel reforms. "Right now the policy is that women can and will be assigned to ground combat units. That pronouncement can indeed be changed by a future secretary of defense." Trump’s election comes as the gender-integration effort — once said to be a two-year process — nears key milestones in the Army and Marine Corps, the services most significantly affected. Since January, when implementation began in earnest, hundreds of women have expressed interest in joining the infantry, artillery and armor career fields, and dozens are in the pipeline for assignment to operational units next year. The process could be stalled in several ways. Trump's administration could simply reverse the policy outright; Congress has passed no laws on this issue. Alternatively, a new defense secretary could grant exceptions to the policy. Those who support the change are worried. "We have real concerns that this administration will not ensure that the integration continues," said Kate Germano, a recently retired Marine Corps officer who now works for the Service Women’s Action Network, an advocacy group for military women. Trump has not indicated whom he will appoint to be the defense secretary. His top uniformed adviser, Marine Corps Gen. Joseph Dunford, the chairman of the Joint Chiefs of Staff, opposed women serving in combat units. As the Marines' top general in 2015, Dunford voiced concerns about potential impacts on combat readiness, and he filed a formal request to exempt his service from having to comply. His civilian superiors rejected that request. A more subtle option for the next defense secretary would be to allow the policy to remain in place while exerting no substantial pressure on the military leaders charged with implementing it, thus allowing the transition to slow or stall. "Let’s be honest,"Germano said. "Not all of the services have embraced the change. We’re already seeing it slow-rolled to a certain degree, and the next administration would just enable that type of behavior." The Army and the Marine Corps have responded very differently. While the former started early and has moved quickly to implement the new policy, the latter initially opposed the change and has made less progress toward placing women in combat units. Army leaders began sending women to the prestigious Ranger School last year, before the Pentagon's decision was final. Army Chief of Staff Gen. Mark Milley said at the time: "Women are in combat. I don’t know what the debate is, actually, frankly, on women in combat. Because women have been fighting in combat for quite some time." There is one female Army officer, a captain, who has been assigned to an operational unit in the Army’s 82nd Airborne Division. Another 10 women have successfully completed the Infantry Basic Officer Leaders Course, which takes freshly commissioned lieutenants and, over 17 weeks, prepares them for assignment to an infantry unit. On the enlisted side, the Army says about 245 female soldiers and recruits are in the training pipeline for combat arms jobs in 2017.
male Marines far outperformed women in a variety of ground-combat tasks. Women were slower, fired their weapons with less accuracy and were more susceptible to injury, the Marine Corps' data showed. And a survey conducted in 2012 found that two out of three male Marines was opposed to gender-integrated combat units. The service's current commandant, Gen. Robert Neller, has promised to carry out orders and integrate combat units. Three enlisted women have been approved to join East Coast infantry units in the coming months, including one rifleman, one machine gunner and one mortar Marine, officials say. And two junior officers have become the Marine Corps’ first female artillery officers. But so far, no female Marines have passed the famously rigorous Infantry Officer Course, even though dozens have tried. And while one female corporal met the minimum requirements to pass the first phase of special operations training, she did not score high enough to continue. Marine Corps Cpl. Remedios Cruz, a Fleischmanns, N.Y., native was one of the six female riflemen to participate in the Marine Corps' Ground Combat Element Integrated Task Force (GCEITF) study. The Navy has offered to open its special operations units, but so far no female sailors have volunteered for Navy SEAL training. 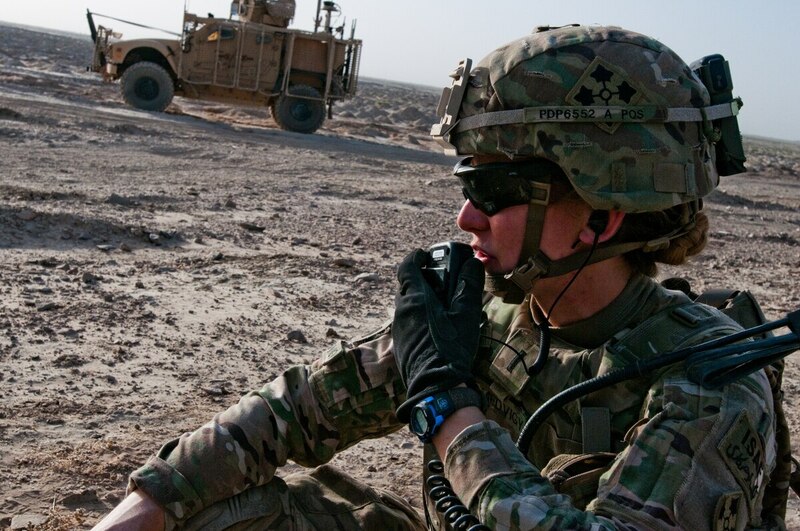 In the Air Force's special operations community, the first woman to enter training to become a tactical air control party airman left shortly after starting due to an injury. There are no women currently in the pipeline at the TACP Preparatory Course at Joint Base San Antonio-Lackland, Texas. Obama's defense secretary, Ash Carter, has said the Pentagon needs to eliminate barriers that prevent people from serving in the military, and that doing so will help recruit and retain the most talented force. Supporters of gender integration say opening combat career fields to women will improve their promotion rates, helping to push them into the services' highest ranks, which are dominated by officers from the combat arms career fields. Any attempt by the Trump administration to reverse or slow the policy could face a challenge in court. The change in Pentagon policy was partly influenced by a 2012 lawsuit from four female service members. They claimed the combat-exclusion rule for women violated their constitutional rights against gender discrimination. The suit is pending. While the Defense Department sought to have it thrown out earlier this year, saying Obama’s policy rendered the issue moot, the federal judge in northern California said the issue and lawsuit remain active. Attorneys have argued whether the Defense Department’s integration plan is sufficient and moving quickly enough. And in October, there was a warning that the case’s underlying issue would be revived if Trump won the election. "If we have a Republican president, we may well be in the same position we were when we filed this complaint, a categorical exclusion of all women from combat units," Steven Perry, who represents the four women, told a judge in the federal court. The judge agreed and set a followup court date for January. Federal courts have the power to overturn Defense Department policy, which can result in immediate changes. Military officials fear that would be disruptive and at odds with the Pentagon’s traditional bureaucratic process for implementing new policies. "The judge put off any further discussion of what direction the case will go in after the election," said Gillian Thomas, a senior staff attorney with the American Civil Liberties Union, which also is involved in the lawsuit. Thomas said any effort to scale back women’s opportunities in the military will meet stiff resistance. "There is no turning back for us," she said. The president-elect has not stated explicitly that he will reverse the policy, but his comments on the campaign trail indicated he is skeptical of it. "It's a very tricky subject," Trump told CBS News in December 2015 just a few days after the Pentagon announced the change. "You're in there and you're fighting and you're sitting next to a woman, and now they want to be politically correct. They want to do it, but there are major problems. And, as you know, there are many people that think this shouldn't be done, at a high level, at a level of general." Just weeks before the election, during an October campaign event with veterans in Herndon, Virginia, Trump addressed questions about gender integration by promising to heed his generals' advice and by suggesting Obama had not. "We have a politically correct military, and it's getting more and more politically correct every day. ... Some of the things that they're asking you to do and be politically correct about are ridiculous," he said. The Republican Party platform adopted in August called for "an objective review of the impact on readiness of the current administration’s ideology-based personnel policies." Specifically, the platform states the party wants to exempt women "from direct ground combat units and infantry battalions." The Pentagon’s change came after 15 years of war in Iraq and Afghanistan, where counterinsurgency operations made rules referencing "ground combat" seem out of step with missions targeting a shadowy enemy using nontraditional, asymmetrical tactics. During those conflicts, more than about 300,000 women were deployed into combat zones. More than 9,000 earned combat action badges, while 800-plus were wounded. At least 161 have died from combat- and noncombat-related incidents, according to Defense Department data. Some experts say the issue is far more controversial among people who know very little about the military. "The fact that most of the American public is so removed from the battlefield makes it easier to make it a political issue," said Gayle Tzemach Lemmon, author of "Ashley's War: The Untold Story of a Team of Women Soldiers on the Special Ops Battlefield." "They don’t know that this has been happening for more than a decade and women have been on the front line because commanders needed them," she said. "It is possible that people who were opposed to it from the start could use this as their window. But what I hear from folks on the ground is, if you meet the standards and accomplish the mission, then you’re part of the team. And oh by the way, that’s been happening for 15 years."